Homeowners buy insurance to protect them from any damages and losses to their home and contents. Severe weather, calamities or accidents may damage your home beyond repair. Or, a robbery or break-in may put your home on the risk radar. Whether you suffer damage due to floods, earthquakes or ice storms, Canadians know that crisis can happen without any warning. If there was a theft in your home then you should inform the police. And, if a natural disaster damages your home then you may inform your insurance provider as soon as you can. When safe, it is recommended to take photos and record videos to assess the extent of the damage. The claims adjuster may want to look at the damaged contents to assess the claim. 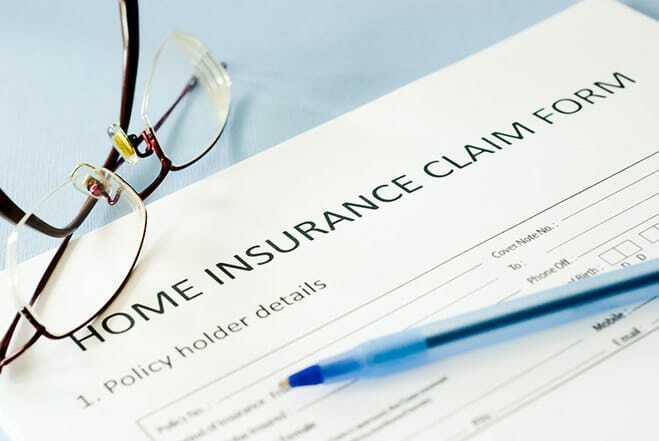 No one expects to claim on their home insurance but if you need to then you may think about the consequences before you actually file a claim. The premiums paid for home insurance go to a pool of funds that is used to pay out the claims for those who suffered losses. Insurance companies use these premiums for paying out the claims, operational expenses, taxes, and investments. They use the premiums for investments that can be easily liquidated to pay out claims during disasters. Most of the investments are low risk and could be government bonds. When you apply for home insurance then the insurer accepts the risk for covering your home and estimates your annual premium. Insurance companies calculate the premiums as per their analysis of how much they may pay out in claims the following year. You pay your home insurance premiums yearly or on monthly basis for covering the risks to your home. The insurance company collects all the premiums and puts it into a large pool. Since your insurance is a yearly contract, this pool operates only on annual basis. In that year when some clients files claims then the insurer uses that pool to settle the claims for losses. When you suffer damage to your home, you may inform your insurance representative as soon as you can if you wish to claim. Some insurers also have an anonymous advisory line to enquire about your claim without using your personal details. This may help you to decide whether you should claim or not. Most insurance companies have claims department that works 24 hours to assist you with your claim. It is critical that you have all the details related to the claim, the time date, location, circumstances, cause and extent of the damage. You may use photos or videos to record the damage and don’t discard any damaged contents before they are assessed. If the claim is for a theft then you may also report to the police. If your home is destroyed then you may ask your insurer about additional living expenses and their coverage limit. You may keep all payment receipts for the additional living costs to claim for the expenses. A claims adjuster may contact you to get all the details about the claim, loss and instruct you to provide documentation. They look into your policy and facts related to the claim along with the documents to determine coverage for the loss. The claims adjuster would ask you to give them a proof of loss form completely filled out with all the details related to the loss. Any statement that you make on this form has to be true and attested or else they may cancel your coverage and deny your claim. This form would list the property and contents that were lost or damaged with their estimated value. You may also attach bills, receipts, warranty etc. to prove ownership for those contents. Typically insurance companies may assess your claim and if you are covered for the loss they would choose to repair, replace or reimburse for your loss. If your insurer decides to repair the damage then you may check with them if you could hire the contractor and discuss the estimate. Usually, for a repair, the insurance companies may look at 2 estimates and agree to cover for the most reasonable one as per coverage limit. Just because you have been paying premiums does not mean that you claim for every small damage or loss. This may cost you dearly in the long run and then when you actually suffer a major loss, you may be denied coverage. When you suffer a loss or damage you may follow some rational steps to decide when to claim for home insurance. Compare the damage with your deductible: If you have a $500 deductible then it may not make any sense to claim for a loss of $700- $900. Most often the claim payout after the deductible may not be worth the whole trouble. Know your coverage limit and exclusions before filing a claim: In case you are not sure if a damage is covered by your policy then hold on filing a claim. You may carefully read your policy terms to check if you have coverage for the damage or not and then file a claim. If you were not covered for that particular damage and you called your insurer to claim then it is not going to help your insurance record. It may not be wise to make a claim for damage due to poor maintenance. Consider your past claims: Knowing your past claims and deciding whether to claim or not is a rational choice for your future insurability. When you frequently submit claims then it may poorly show on your record and insurers may find you a bad risk. If you already claimed in the recent past then it may be best to avoid claiming now and pay for the loss out of your pocket. You may save this claim for a huge loss that you cannot afford to pay for later. Every time you file a claim this has a direct impact on your premiums and coverage negatively. As per your insurance provider, if you had a ‘no claims discount’ then you may lose that the following renewal. This may also raise your premiums after the claim. Typically insurers expect a homeowner to make less than 1-2 claims in a decade. When the number of claims exceeds in a decade then you may be considered a high risk. Whether it is a single claim in many years or many claims in a single year, it all adds up. Based on the frequency of your claims and the payout, your insurance premiums may change. The increase in premiums could vary as per each insurer. Some insurers may hike your premiums as much as 40% or more. Whereas, others may raise your premiums by only 15% or 20%. More than likely, every claim may cause your premiums to go up and due to your high-risk score, you may even be denied coverage. When you file a claim, your home insurance may pay for a loss or damage due to an insured risk that is outlined in your contract. Your home insurance may not pay for predictable losses or intentional damages to your home. Any risks that are excluded in your policy may cause damage to your home but your home insurance may not pay for that. Flood and earthquake damages are typically not paid for by home insurance policies unless you bought special coverage policy. If your pipes freeze and burst in winter then that may not be covered if your home was vacant for more than 4 days without supervision. When your property is vacant for more than 30 days in a row then your coverage may be voided if you did not inform your insurer. Any damages to your home due to wear and tear or poor maintenance may not be covered. Mold damage, pest infestation and leakage may not be covered as it is caused by lack of proper upkeep. Any high valued items may need a special coverage or endorsement to reflect the coverage value. Most insurers have sub-limits for items of high value such as jewelry, antique collection, art etc. Most often the home insurance claims may show up on your record for an average of 5 to 7 years. Sometimes it may even stay on the record for 10 years or more. All claims are recorded into a central database that the insurers access to know the risk score for a client. In Canada, (HITS) Habitational Insurance Tracking System gives insurance companies access to property claims history. This is a vital tool used by most insurance companies while underwriting a home insurance policy. So, your past insurance claims may follow you even when you are looking to insure a different property. You may file your home insurance claim in writing by filling out the claim form. And, you may mail or courier this form along with other documents to the claims department. It is important to attach relevant documents such as proof of loss, receipts, invoices, photos etc. to support your claim. The form has to have all details complete and truthful as any false statement would be a crime. 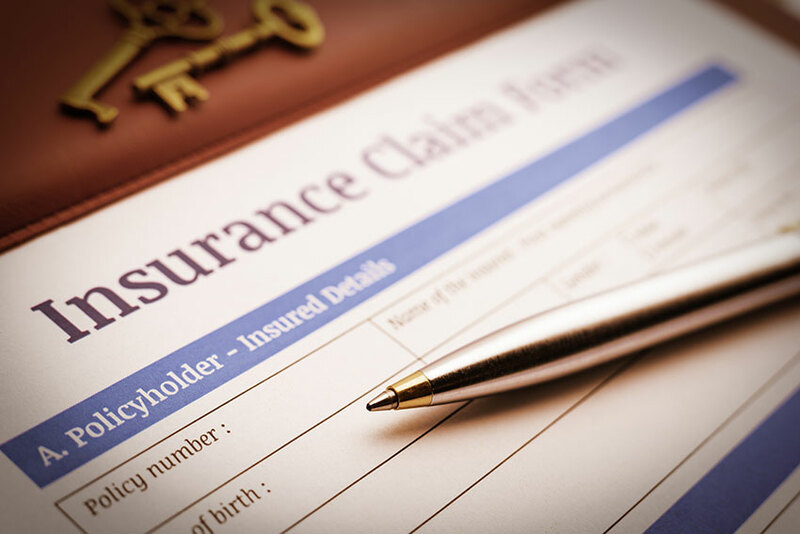 Most insurance companies may have an option to file a claim online. You may do this by filling out the claims form on their websites with all the information. Inform the claims adjuster about any structural damage as it would affect the repair cost estimates. Let them know of any upgrades, appliances or premium materials that were used in the structure. Give them an up to date home contents inventory along with any receipts, photos or other proof of possession. You may include damaged food, clothing, and other personal items in the list. Also, mention the cost for restocking your pantry and fridge. Most insurers may pay up to $1000 for food damage. If you have landscaped garden or some garden artifacts then include those too in your inventory. It is best to keep the damaged items for assessment unless they are hazardous to health or safety. Sometimes you may need to do a temporary repair to prevent further damage. Then you may give those receipts to the adjuster too as part of the claim. Get an independent repair estimate from a contractor. You may then compare it with the one your claim adjuster gives you to ensure that your settlement is fair. For a huge claim, it might be worthwhile to hire an independent loss adjuster. And you may also hire a claims attorney to fight against an unfair settlement. Keep a record of all your communications with the insurance company about your claim. This may serve as proof of your agreement with the insurer about the claim and damages.